In a move aimed at spurring growth and investment in Ethiopia, Unilever has today unveiled a world-class oral care plant, a first of its kind in Ethiopia and third in Africa, at Unilever’s factory in Eastern Industry Zone, Dukem. The new factory line will produce Signal, a leading oral care brand and comes as additional investment to the soap, detergent, and Knorr manufacturing plants inaugurated by Unilever in 2016 and 2017 respectively. 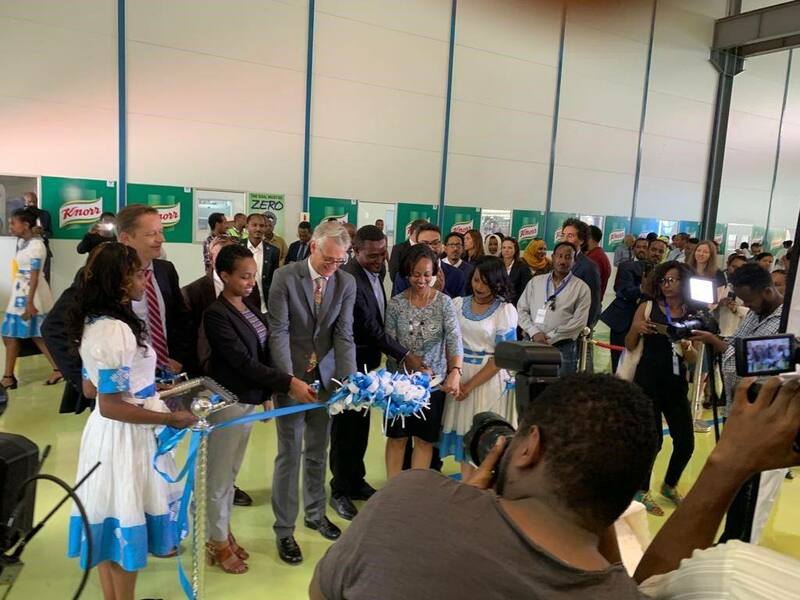 Speaking at the inauguration ceremony, Bruno Witvoet, Unilever Africa President, reiterated Unilever’s commitment to supporting Ethiopia’s local economy through increased direct investments. Working to create a brighter future every day, Unilever helps people feel good, look good and get more out of life. Its portfolio includes most loved locally produced brands, Signal, Lifebuoy, OMO, Sunlight, Knorr, Geisha and Lux, as well as key world’s renowned brands, like Dove, fair n lovely, Axe, among many others.